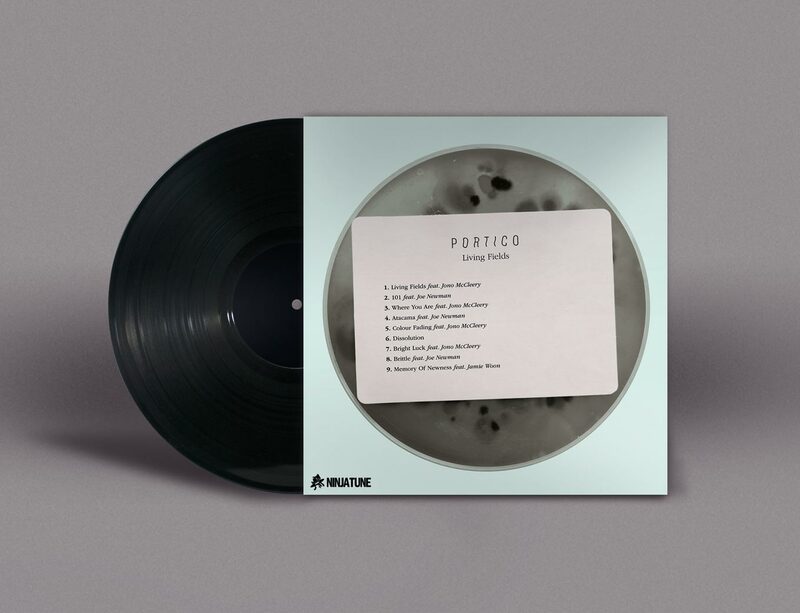 This is a student project completed during my time at Shillington College — I do not work for Ninja Tune (unfortunately)! 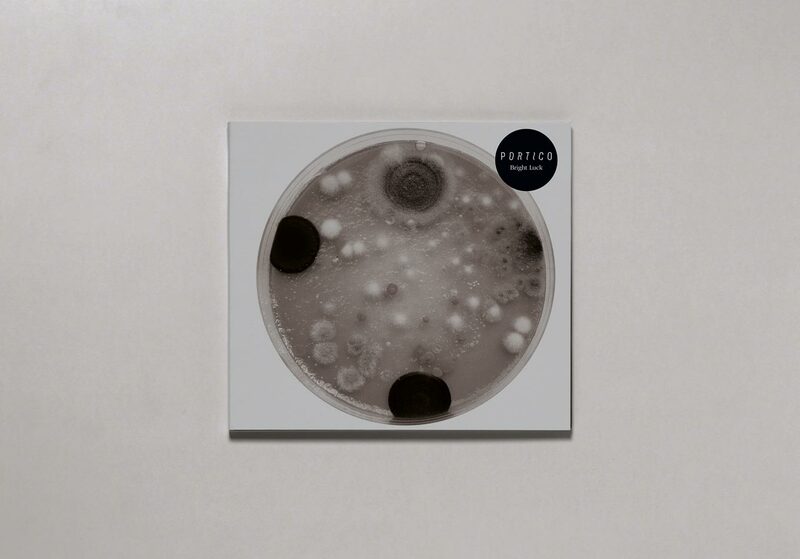 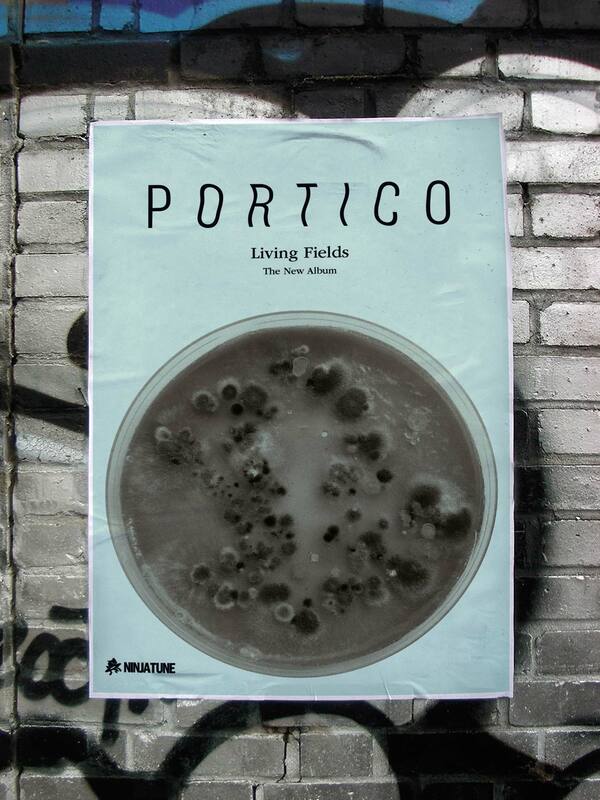 I decided to grow mould and photograph it to create an art-directed identity for the album ‘Living Fields’ by Portico. 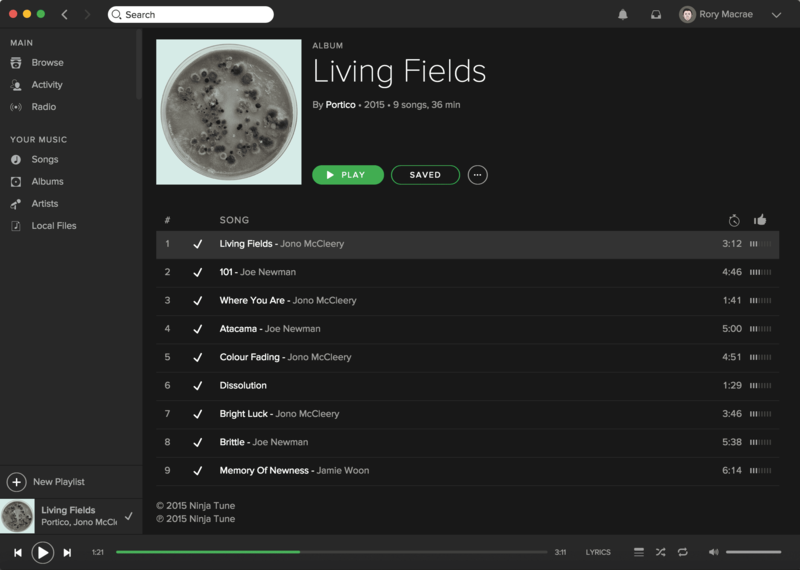 This simple concept could be easily applied to further material including singles covers and posters. 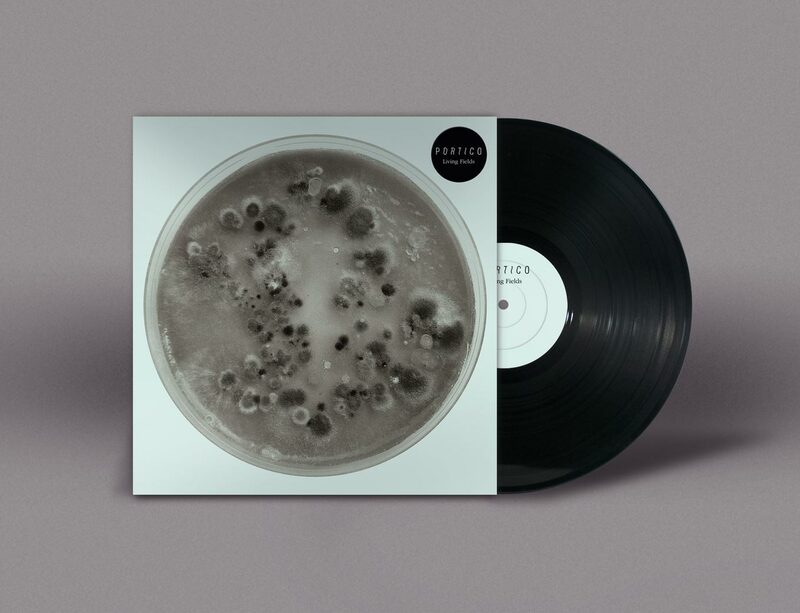 I think the mould perfectly encapsulates the moody, experimental and organic style of the music. 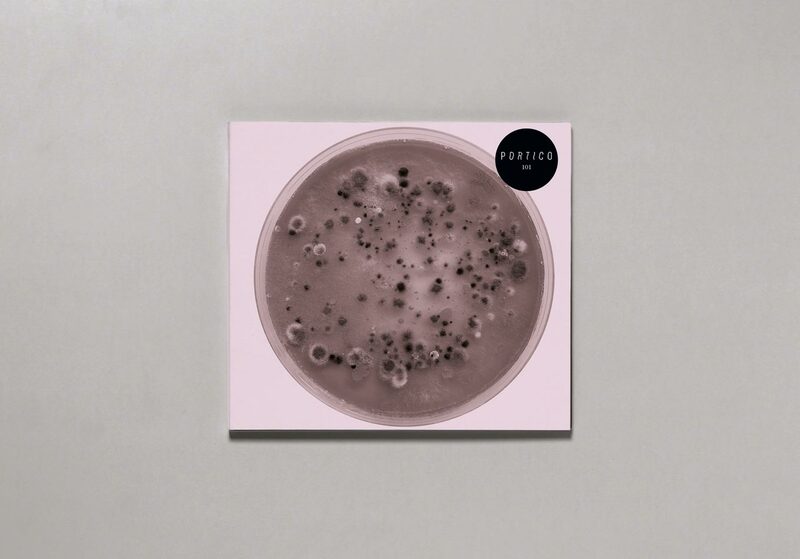 I like the fact that both the mould and the music become more intriguing the closer you look at it.